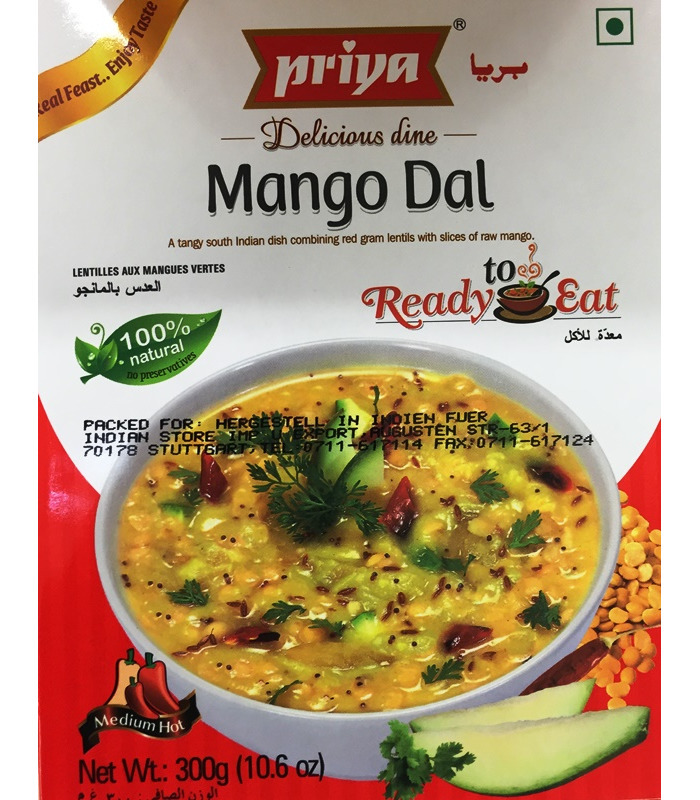 If you love raw mangoes, you will absolutely love this South-Indian style Mango Dal. The delightful combination of sliced raw mango and Toor dal creates a magical taste that has you craving for more of this tangy dal! Even though this dal has been a part of the South Indian cuisine for long, its creative combination of ingredients gives you a newness and freshness every time you eat it! A zesty version of the regular lentil soup, Priya’s Mango Dal is a finished meal and is 100% natural and vegetarian. 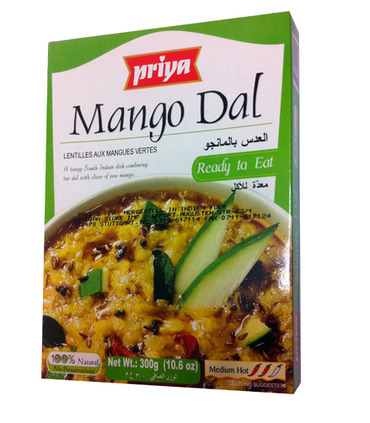 Spice level Priya’s Mango Dal is medium spicy. Preparation Immerse the inner unopened pouch in boiling water for about 5 minutes. Open and serve hot. Or microwave the contents in a bowl it for 1-2 minutes before serving. If you love raw mangoes, you will absolutely love this South-Indian style Mango Dal. 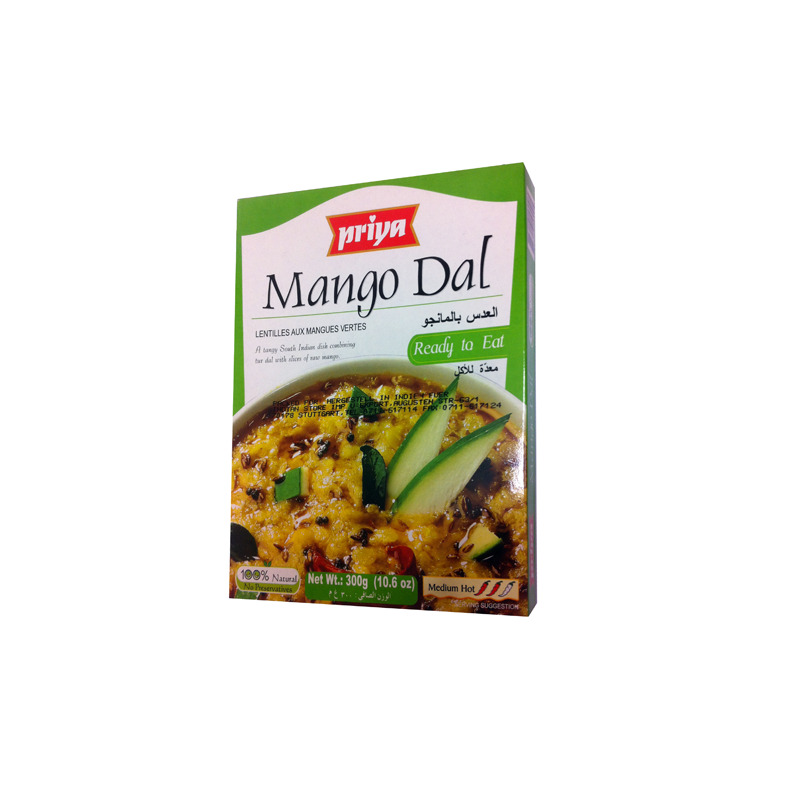 The delightful combination of sliced raw mango and Toor dal creates a magical taste that has you craving for more of this tangy dal! 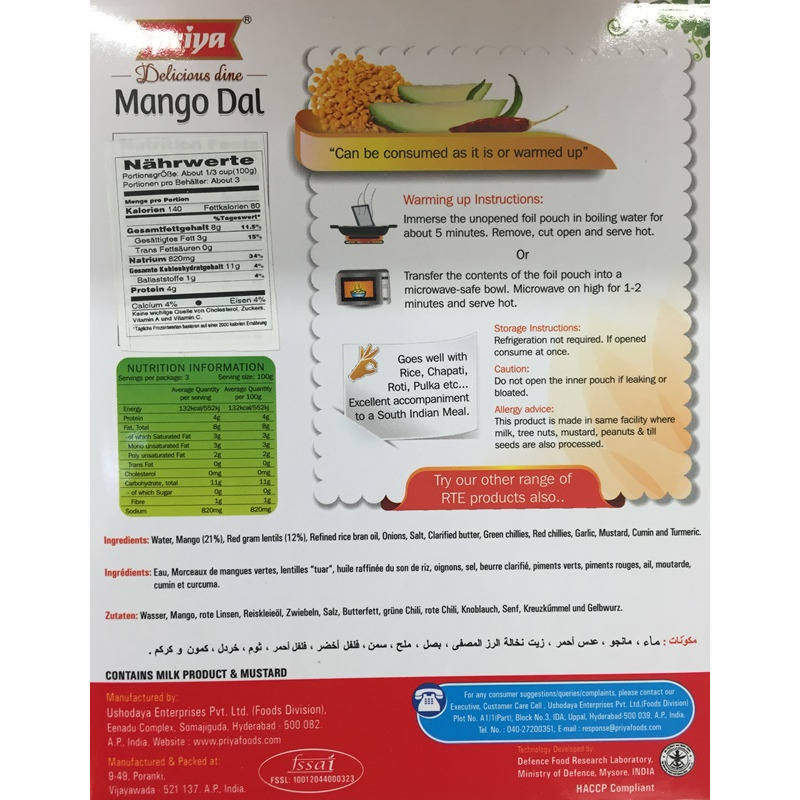 Even though this dal has been a part of the South Indian cuisine for long, its creative combination of ingredients gives you a newness and freshness every time you eat it! 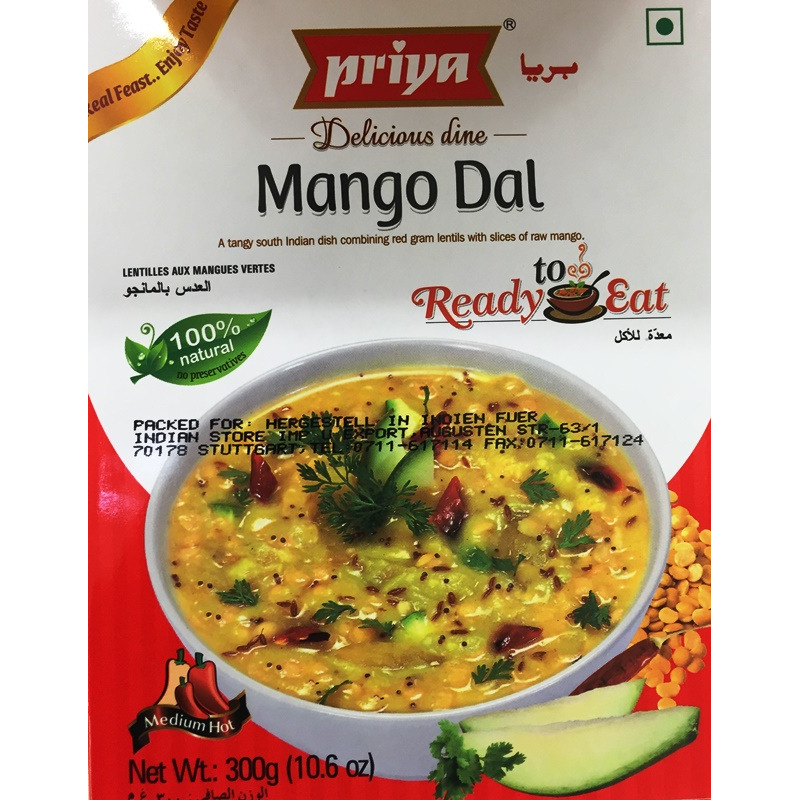 A zesty version of the regular lentil soup, Priya’s Mango Dal is a finished meal and is 100% natural and vegetarian. 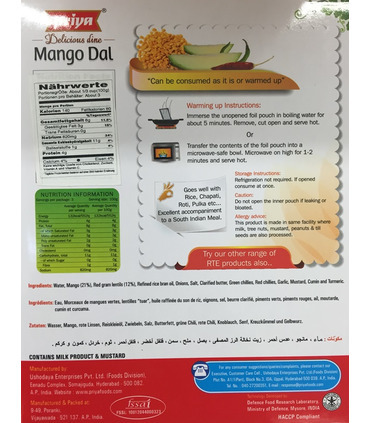 Priya’s Mango Dal is medium spicy.